Allow me to further customize your jewelry design by adding a sparkly genuine Swarovski crystal bezel charm in a rhodium metal finish. The crystal bezel charm is slightly over one-half inch including its attachment point. 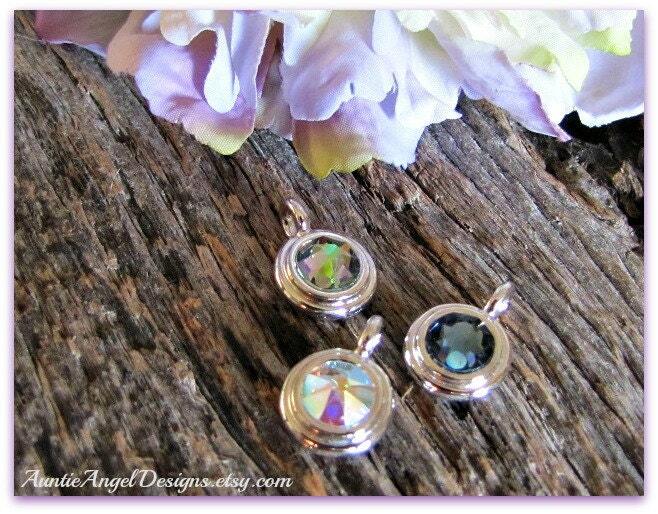 These crystal bezel charms are ONLY available as add-ons and cannot be purchased separately. Note: The price noted is for ONE Swarovski crystal bezel charm. Please convo me if you have any questions before placing your order. Lovely item, just as described and if you put it on the sunlight it does have all the colors of the "rainbow" perfect complement for your "Rainbow Bridge" necklace, absolutely love it!